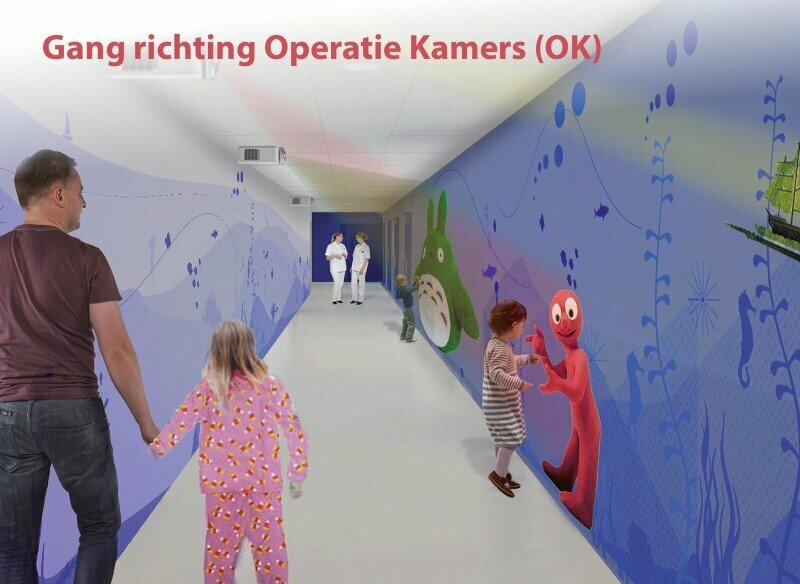 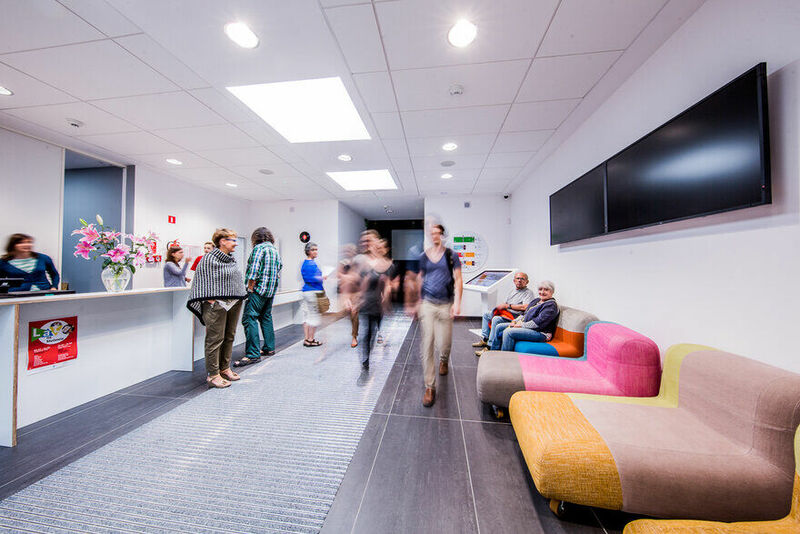 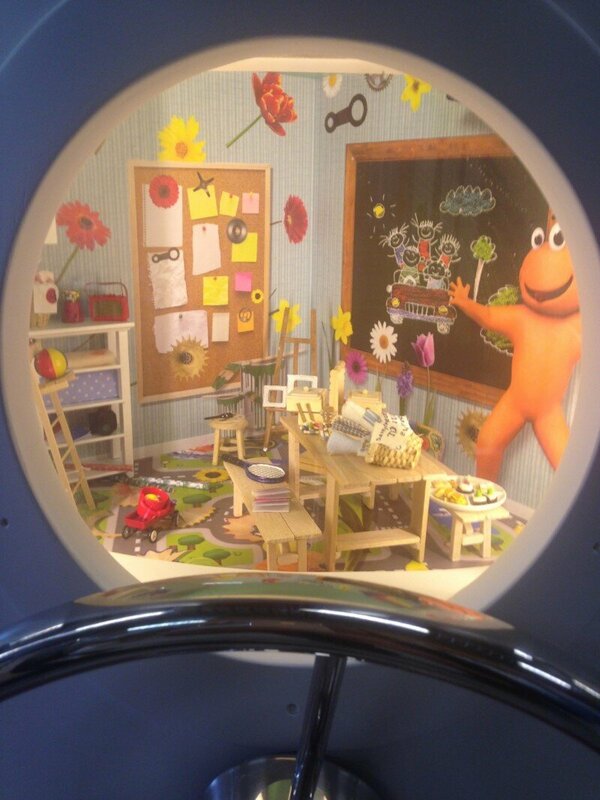 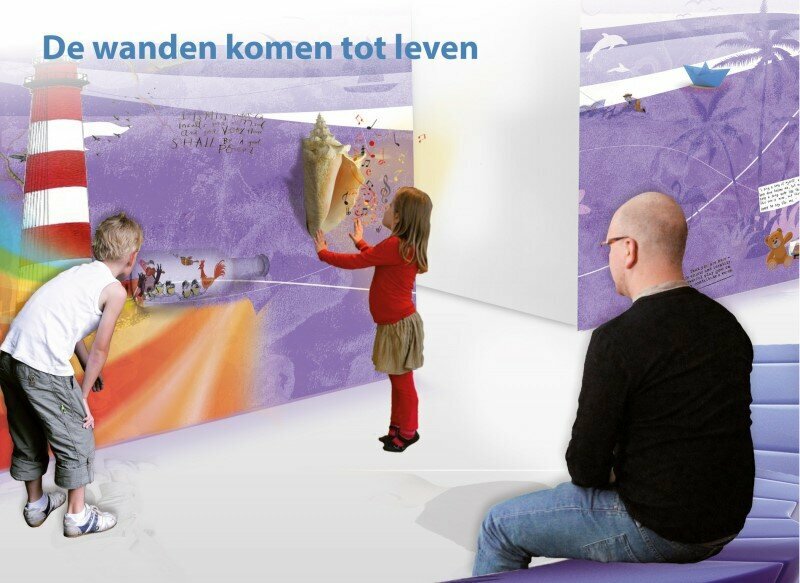 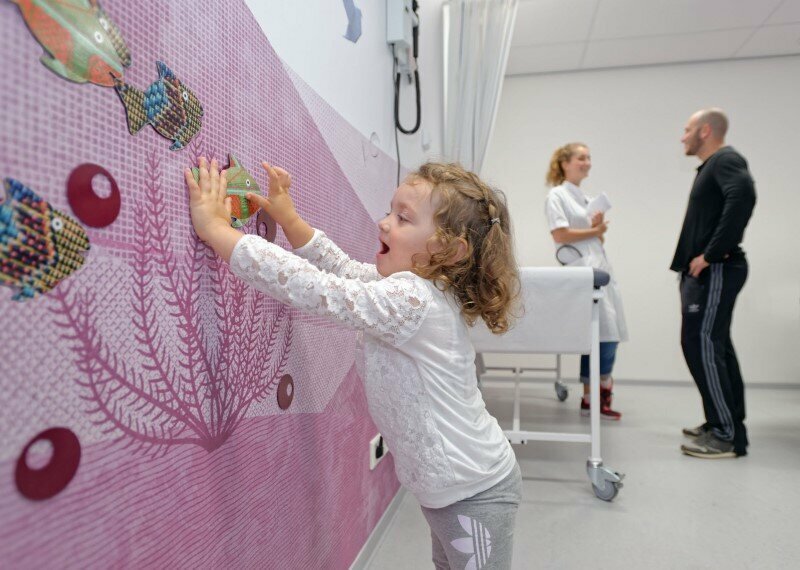 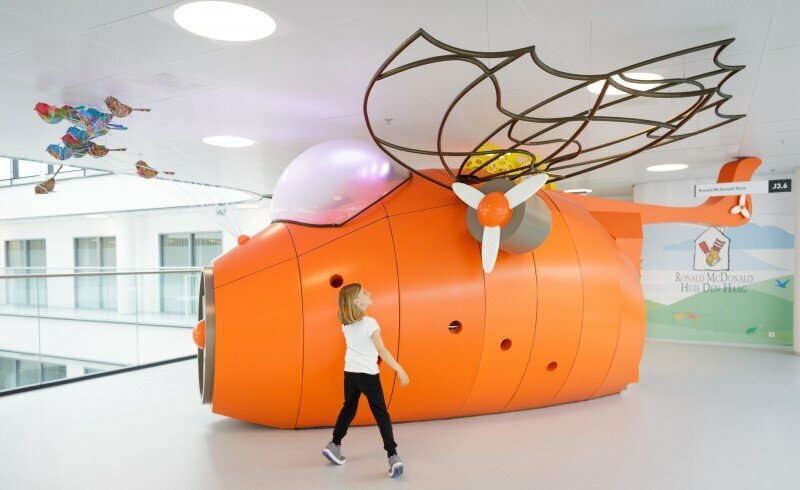 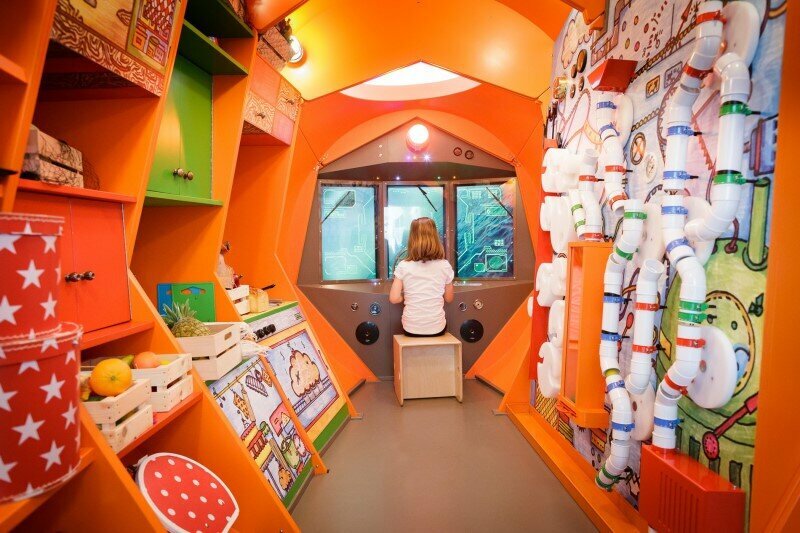 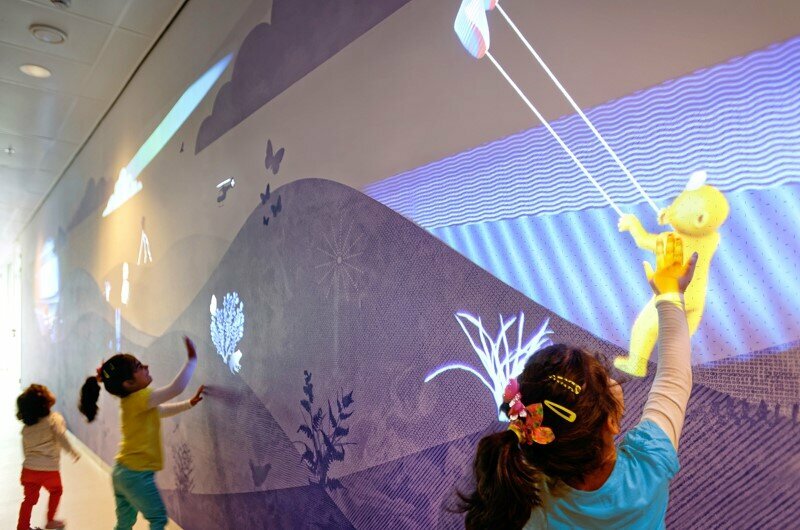 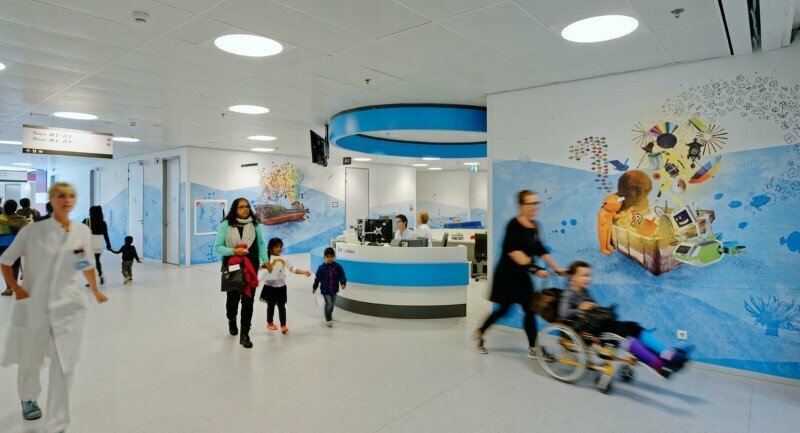 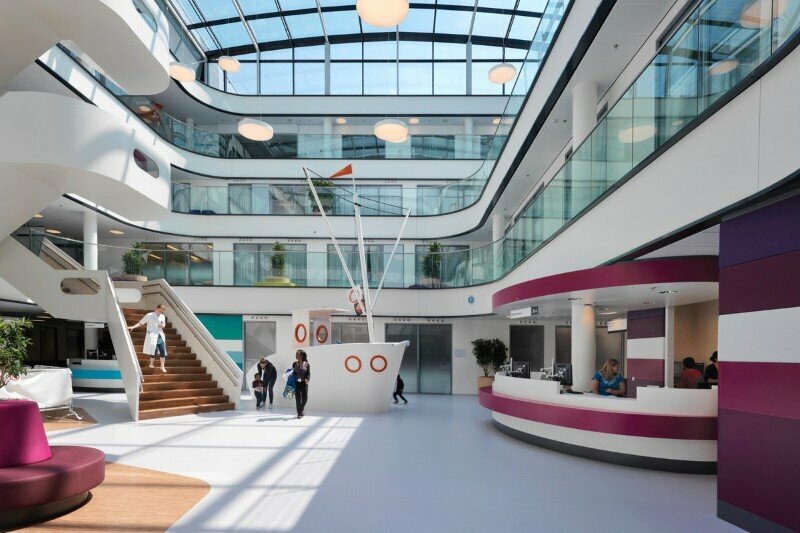 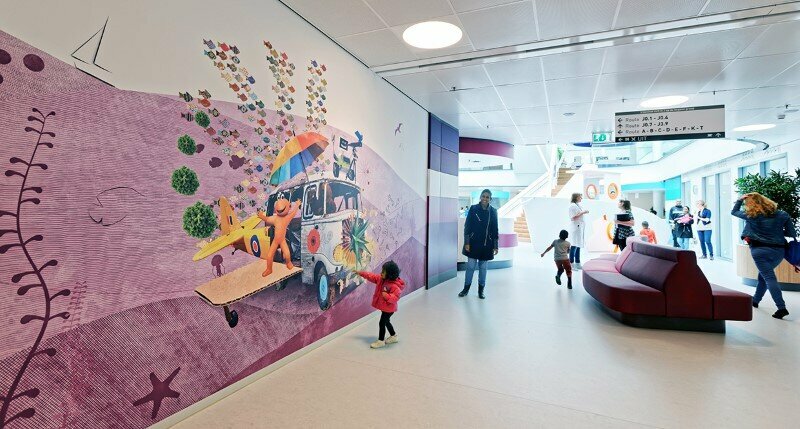 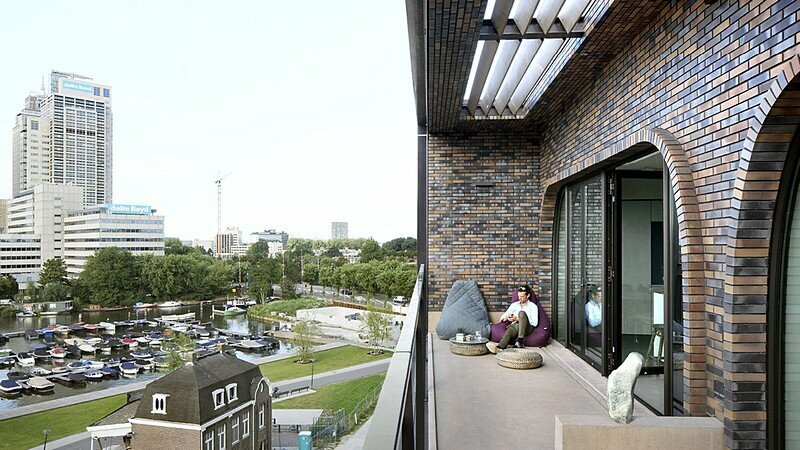 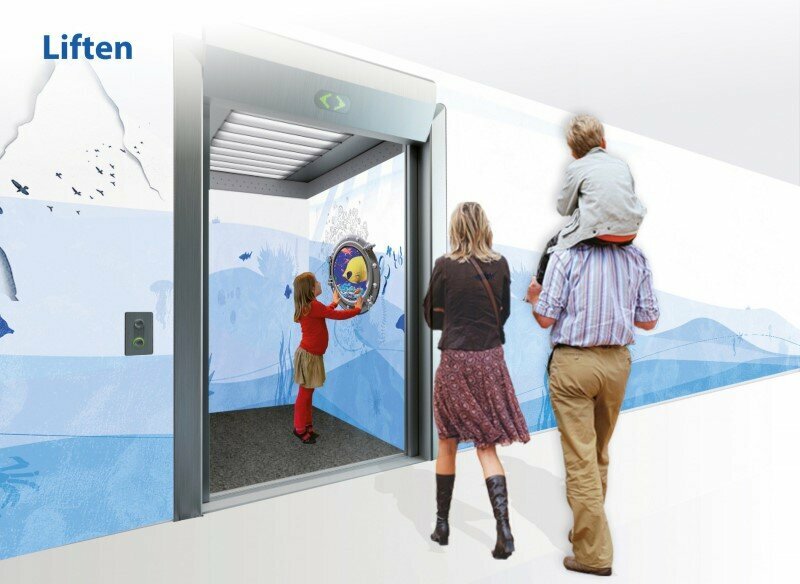 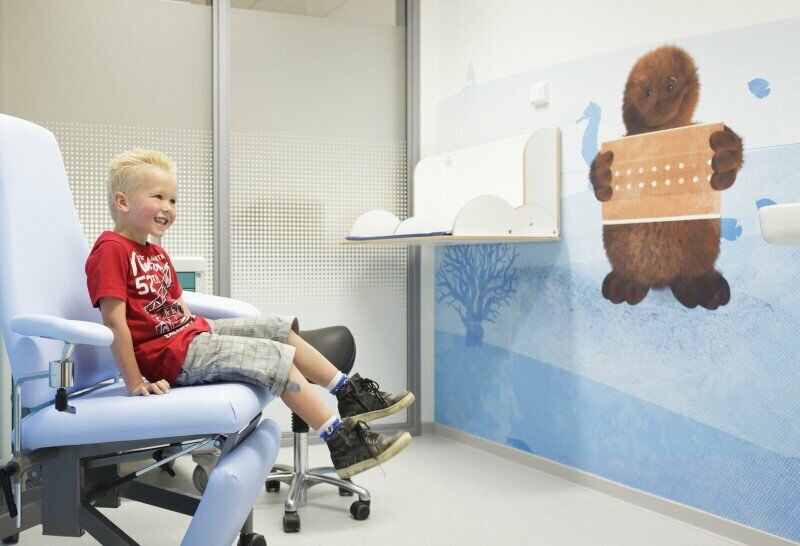 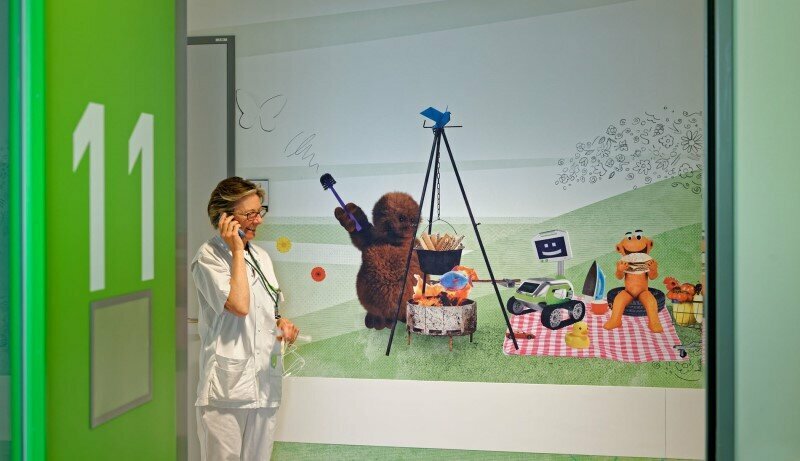 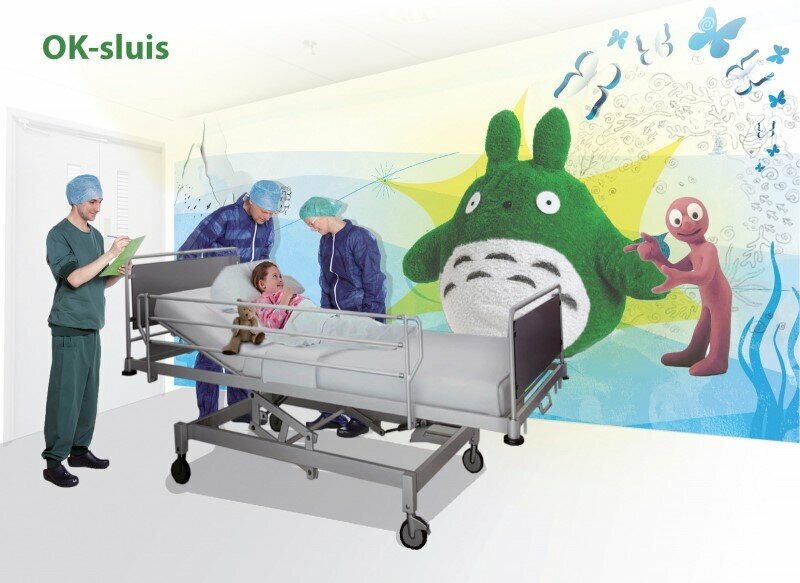 The Society of British and International Design declared Tinker imagineers from Utrecht the overall winner of the SBID International Design Excellence Awards 2015 on account of its experience design for the Juliana Children’s Hospital. 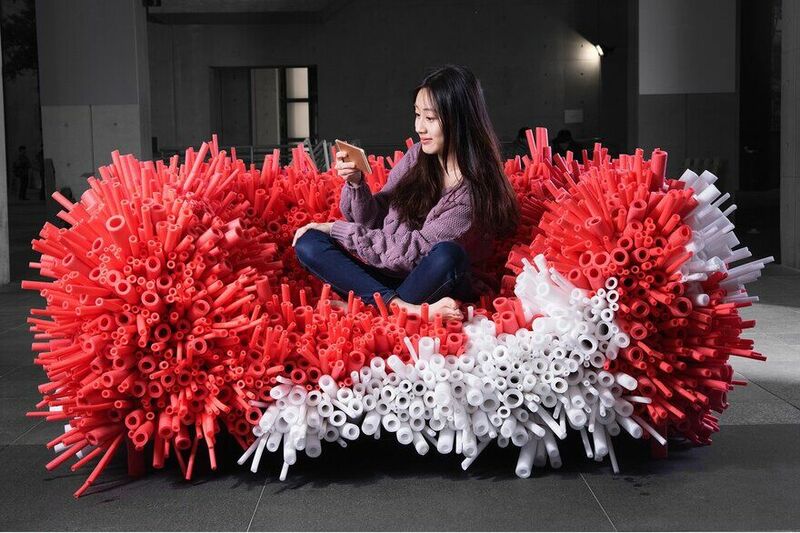 The ‘overall winner of best achievement’ was picked last weekend at the Awards gala event in London from among 198 finalists from 41 countries. 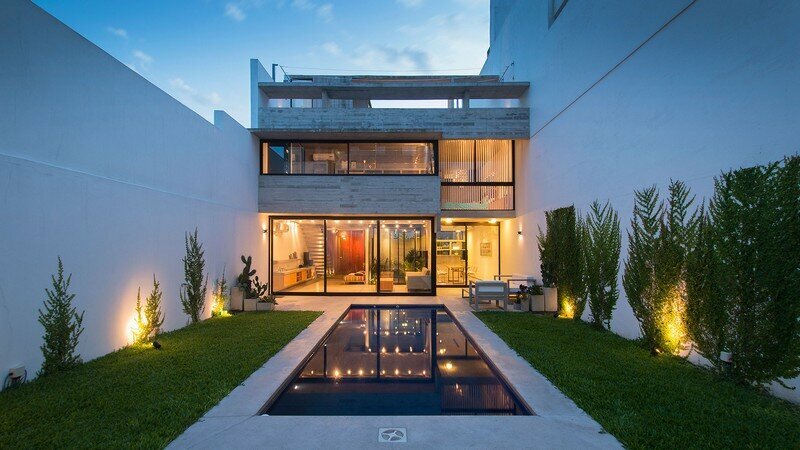 This award trumps the other 14 categories. 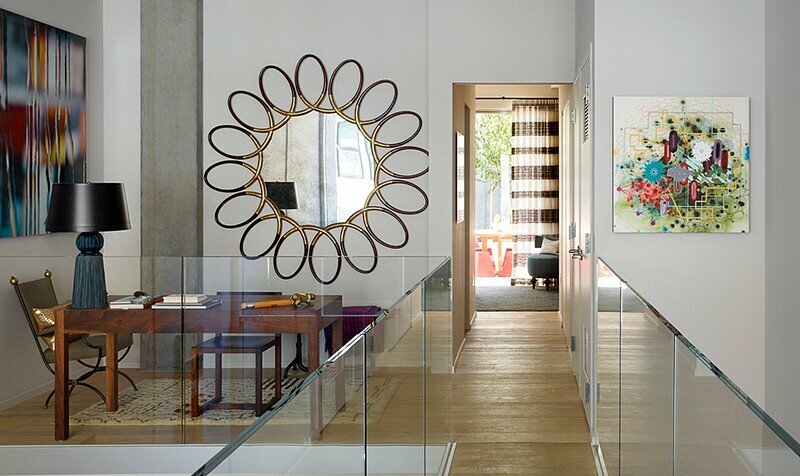 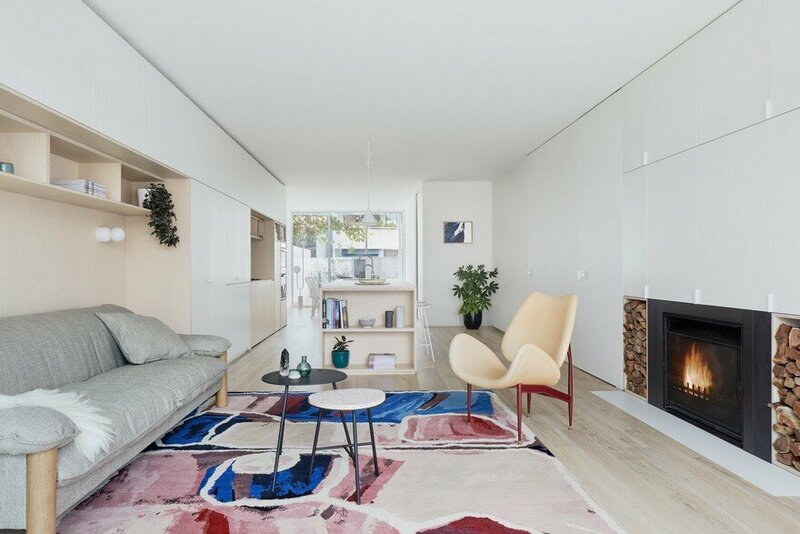 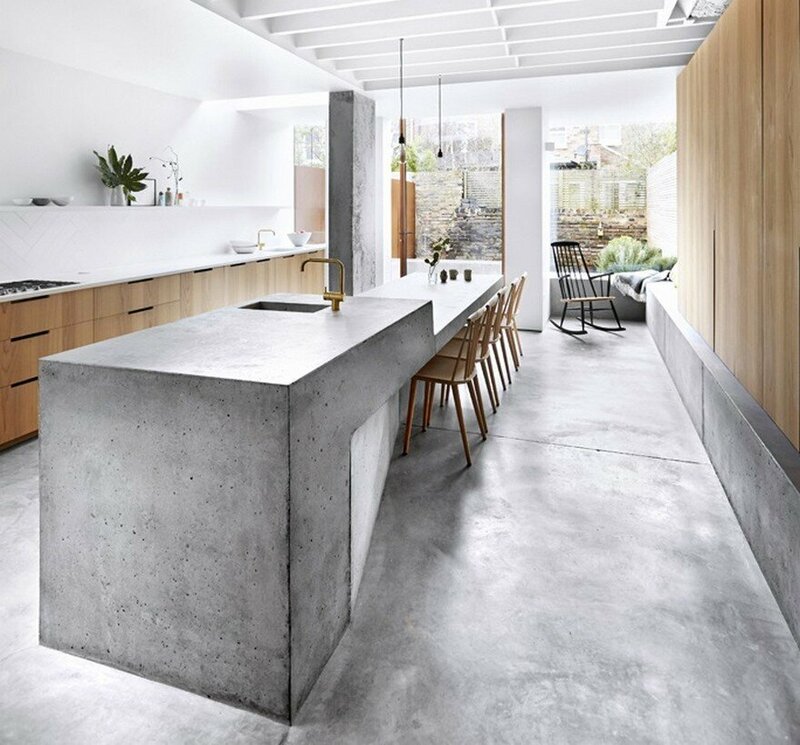 The Society of British and International Design (SBID) is the professional accrediting organisation for the interior design industry in the UK, with the objective to promote the profession at the highest level of competence. 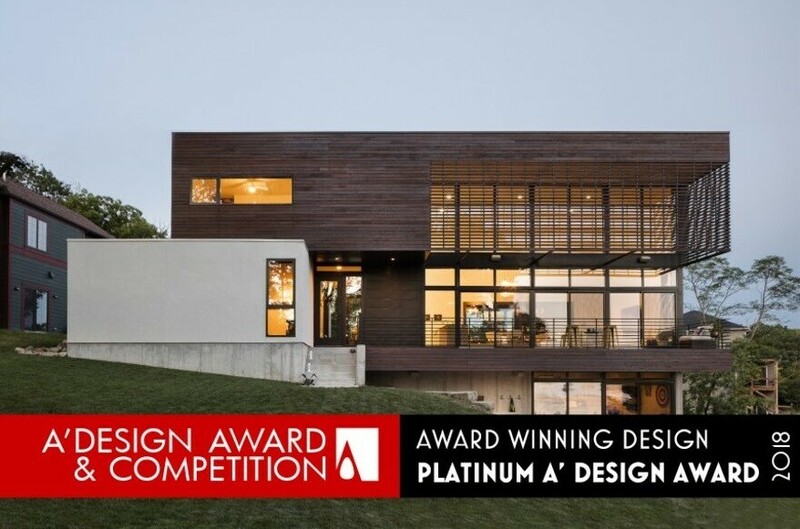 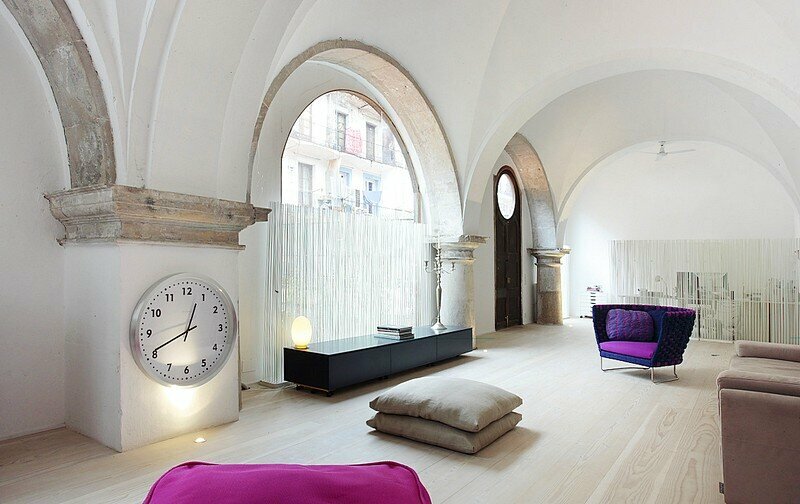 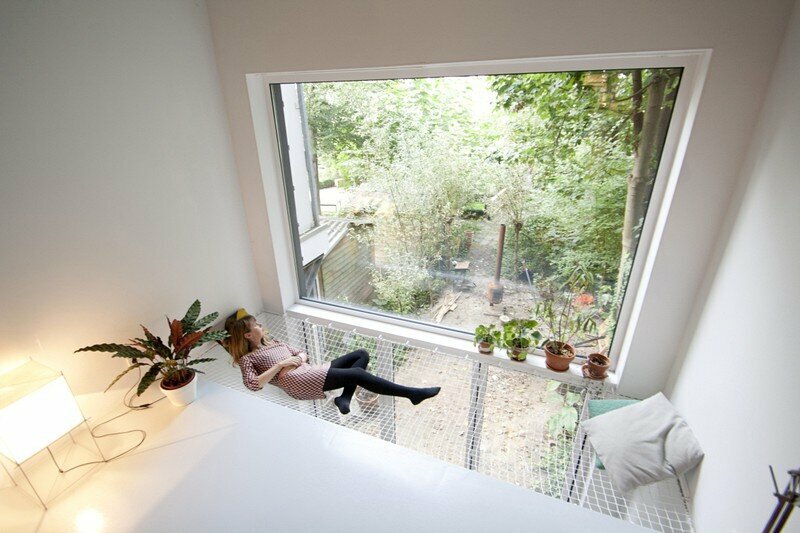 Since 2011, the SBID Awards are annually presented in ‘to celebrate the value to life that real design excellence adds’. 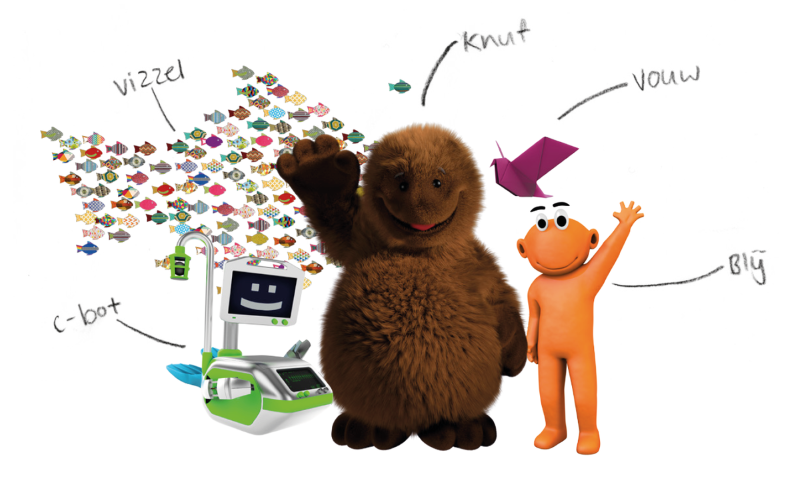 Five characters, Hugg, Happy, Fold, C-bot and Vizzle, play the main roles in the children’s experience. 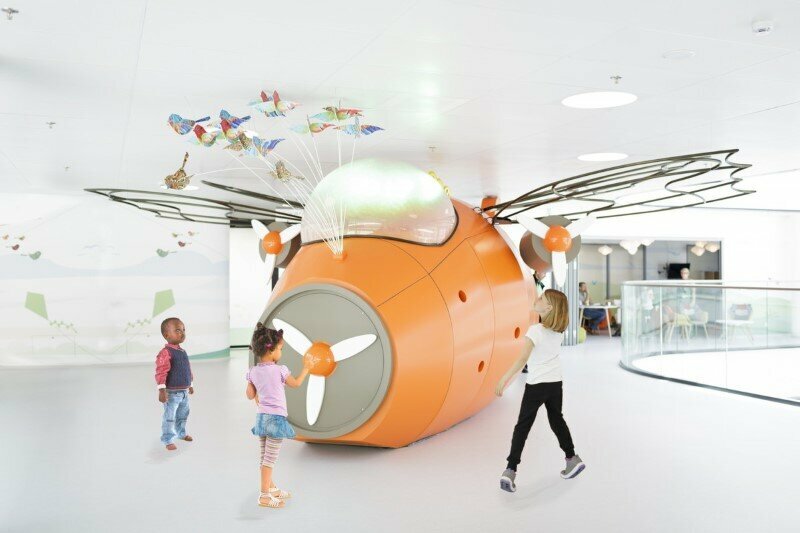 These little friends accompany the patients on their journey through the new Juliana Children’s Hospital and appear everywhere. 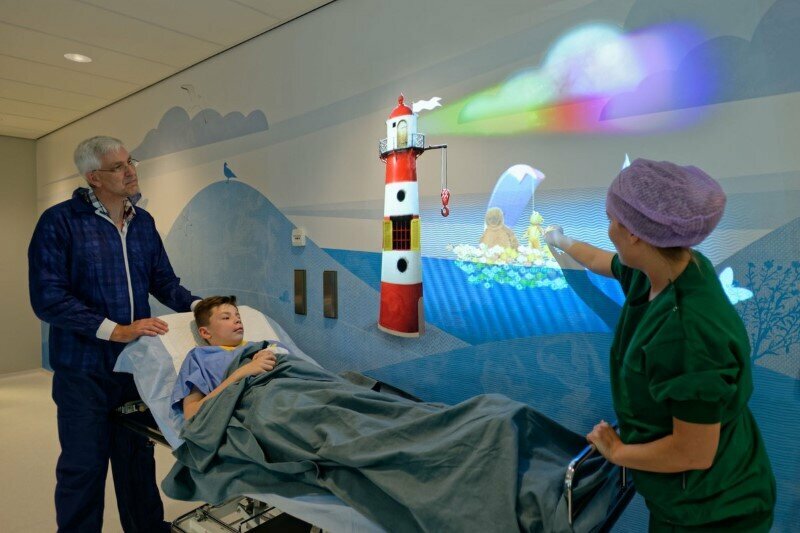 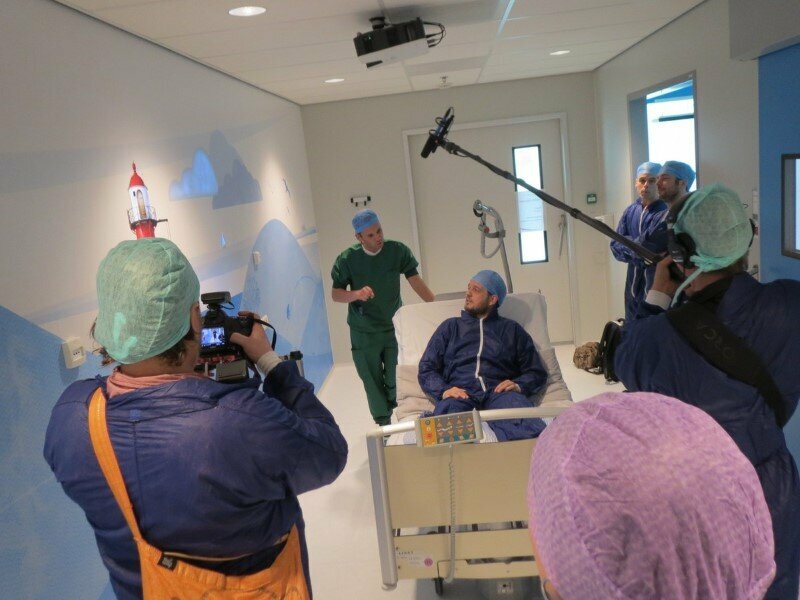 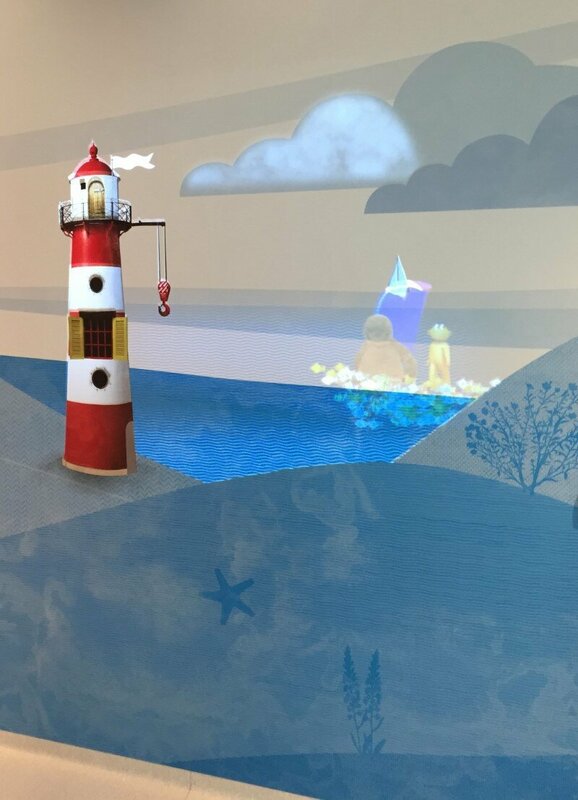 In the most nerve-racking situations, such as the corridor to the OR, the treatment rooms and the elevators, these characters come to life in moving projections and interactive animations.